CREEDON, MARIANNE (Mary Ann), named Mother Mary Francis (Frances), member of the Congregation of the Sisters of Mercy, mother superior, and educator; b. 1811 in County Cork (Republic of Ireland), daughter of John Creedon and Ellen ——; d. 15 July 1855 in St John’s. On 4 July 1839 Marianne Creedon entered the Congregation of the Sisters of Mercy which in 1831 had been established in Dublin by the Irish heiress Catherine Elizabeth McAuley (Sister Mary Catherine). She received her religious habit as Sister Mary Francis on 27 Feb. 1840 and was professed on 19 Aug. 1841, becoming the 50th Sister of Mercy. Prior to entering the order, she had lived for some years in St John’s with her sister, Ellen Maria, whose husband John Valentine Nugent* was one of Newfoundland’s more prominent reform politicians. During her stay she became acquainted with Bishop Michael Anthony Fleming* and was to renew her friendship with the bishop in Ireland in 1841 when he negotiated the establishment of a mission of the Sisters of Mercy in St John’s. Sister Mary Francis offered her services to the bishop, who had been instrumental in having her make her novitiate with the congregation as part of his plan for the mission. Sister Mary Francis and two other volunteers left Ireland on 2 May 1842. In June they began their work in the colony, visiting and caring for the sick in their homes; they opened their first school with 42 pupils in attendance in May 1843. Sister Mary Francis was officially appointed superior of the Newfoundland mission in November. The two nuns who had accompanied her returned to Ireland that month and she was left with only one postulant, Maria Nugent, sister of John Valentine. Eventually she became Sister Mary Joseph, the first Sister of Mercy professed outside the British Isles. Her short religious career ended in June 1847 when she succumbed to typhus contracted while nursing. Mother Mary Francis was again left alone. Resisting all importunities from the motherhouse in Dublin to return home, Mother Mary Francis remained, determined to carry on the overseas mission, the congregation’s first in the New World. Compelled to close the school, she devoted herself to nursing the sick, caring for the elderly, and attending to the needs of the poor, while maintaining her religious life. Although she must have pondered the advisability of either returning to Ireland or joining the Presentation Sisters, who were staying with her at the Mercy Convent after losing theirs in the fire of June 1846, she saw the will of God in her own life and in the establishment of a Congregation of the Sisters of Mercy in Newfoundland. Nothing could induce her to abandon the mission and after some months her faith was rewarded. Her niece, Agnes Nugent, joined her and was professed on 8 Dec. 1850, taking the name Sister Mary Vincent, and earlier that year a young novice had arrived from Ireland. The congregation had finally begun to establish a solid foundation, and continued working in education with sisters from both Ireland and Newfoundland. Mother Mary Francis lies buried in St John’s at Belvedere, the Franciscan monastery bequeathed by Bishop Fleming to the Sisters of Mercy to be used as an orphanage. She had surmounted all obstacles to bring to the people of her adopted country the advantages of education and refined living. A woman of indomitable faith, she had shown a zeal, pertinacity, and loyalty to her calling which marks her as one of the outstanding women in Newfoundland history. [Mother Mary Teresa Austin [M. A.] Carroll], Leaves from the annals of the Sisters of Mercy, by a member of the Order of Mercy (4v., New York, 1881–95), 3. Paul O’Neill, “Mother Francis Creedon,” Remarkable women of Newfoundland and Labrador (St John’s, 1976), 8–9. Mother [Mary] Teresa Austin [M. A.] Carroll, Life of Catherine McAuley, foundress and first superior of the Institute of Religious Sisters of Mercy (St Louis, Mo., ). Sister [Mary] Bertrand Degnan, Mercy unto thousands; life of Mother Mary Catherine McAuley, foundress of the Sisters of Mercy (Westminster, Md., 1957). Sister Mary James Dinn, Foundation of the Presentation Congregation in Newfoundland (St John’s, 1975). Howley, Ecclesiastical hist. of Nfld. 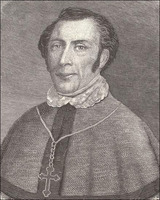 O’Neill, Story of St. John’s. Sister M. Perpetua Bown, “CREEDON, MARIANNE, Mother Mary Francis,” in Dictionary of Canadian Biography, vol. 8, University of Toronto/Université Laval, 2003–, accessed April 24, 2019, http://www.biographi.ca/en/bio/creedon_marianne_8E.html.